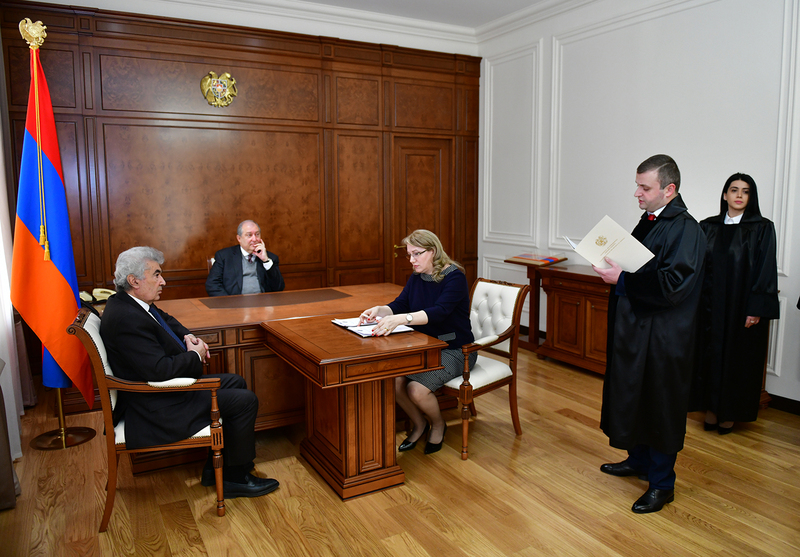 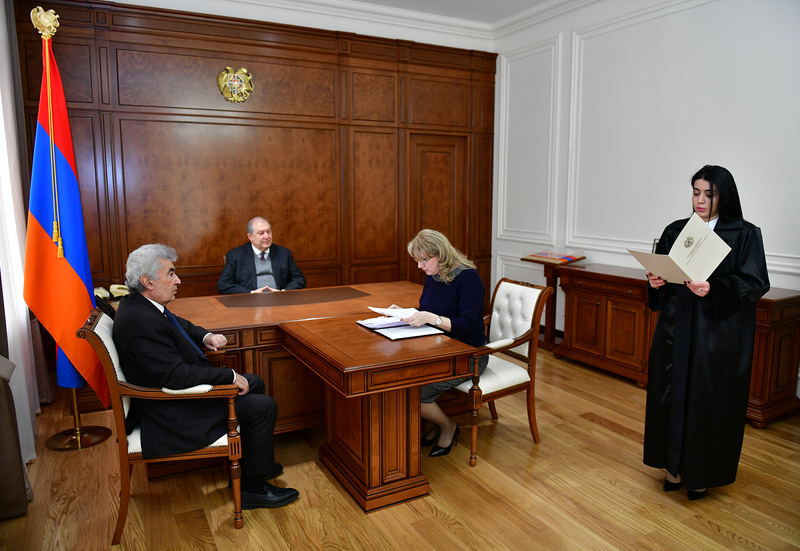 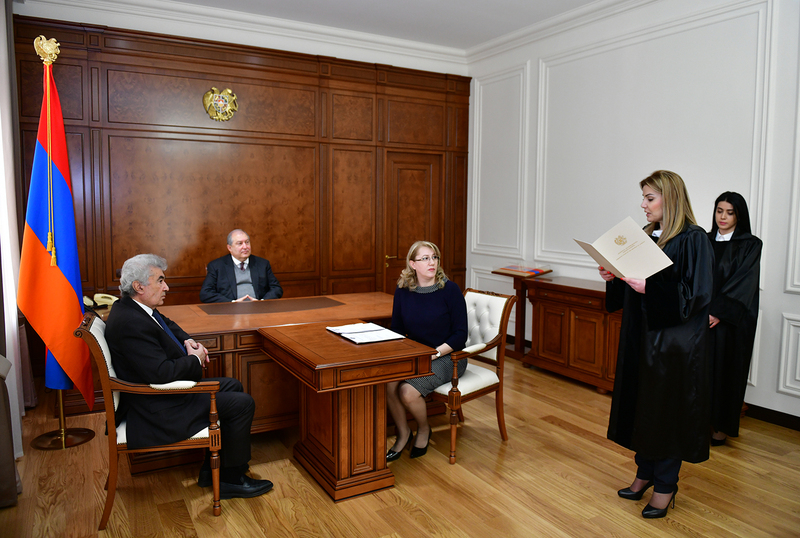 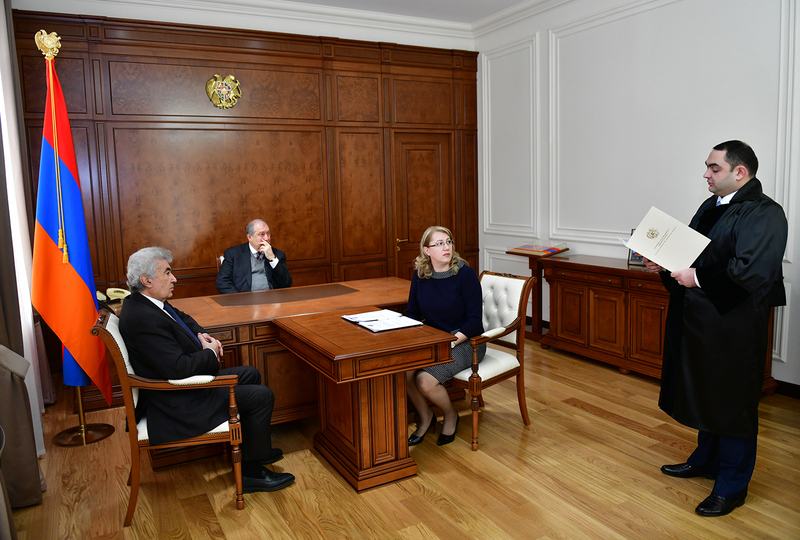 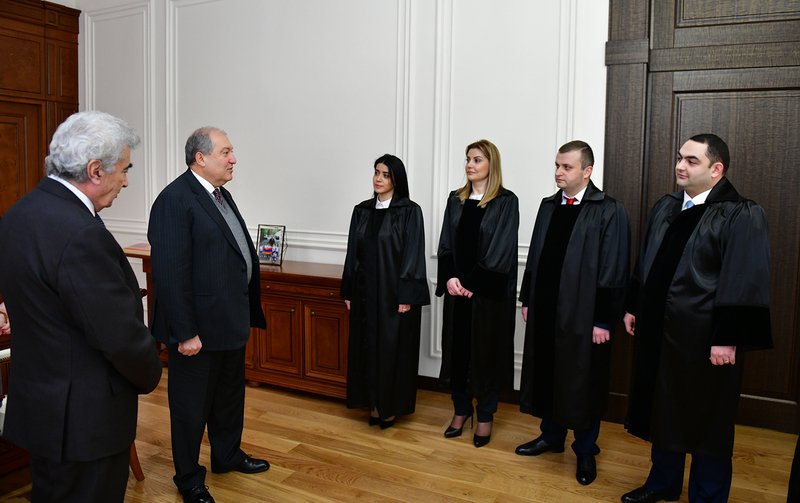 Oath-taking ceremony of the newly appointed judges took place at the Presidential Palace with the participation of the President of Armenia. 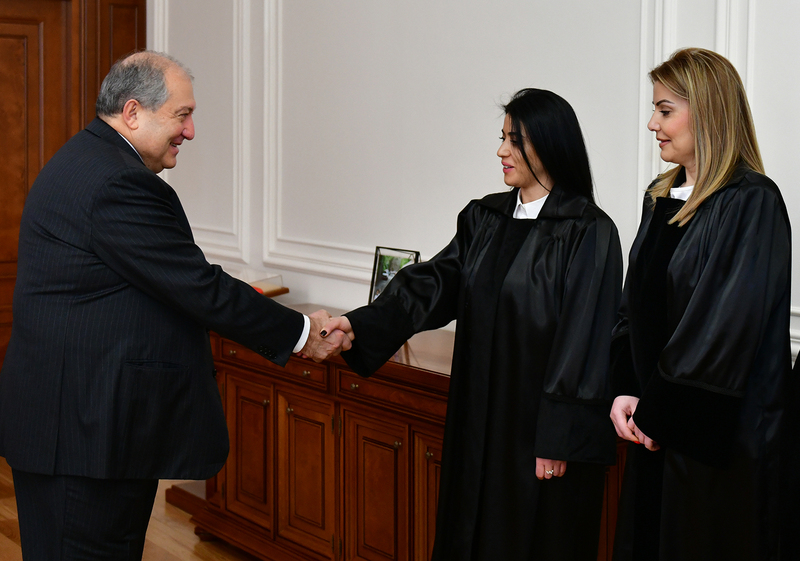 Rubina Atoyan, a judge of the Court of General Jurisdiction of Synik marz, Diana Ghukeyan, a judge of the Court of General Jurisdiction of Lori marz, Edgar Karapetian, a judge of the Court of General Jurisdiction of Shirak marz, Gor Minassian, a judge of the Court of General Jurisdiction of Gegharkunik marz, and Liana Nerssissian, a judge of the Court of General Jurisdiction of Gegharkunik marz were sworn in as judges. 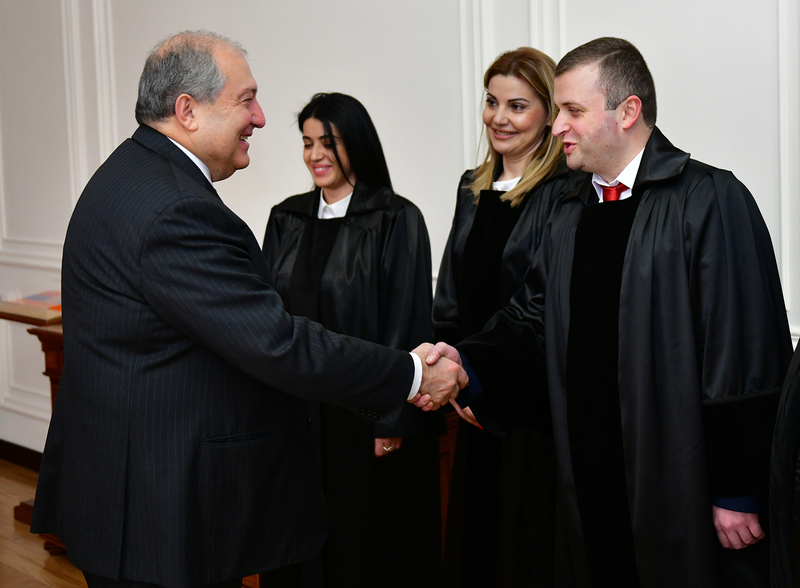 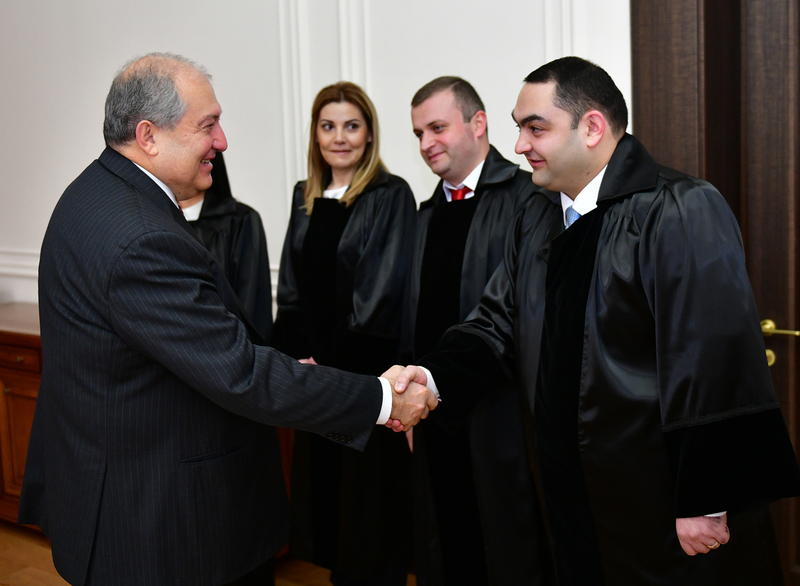 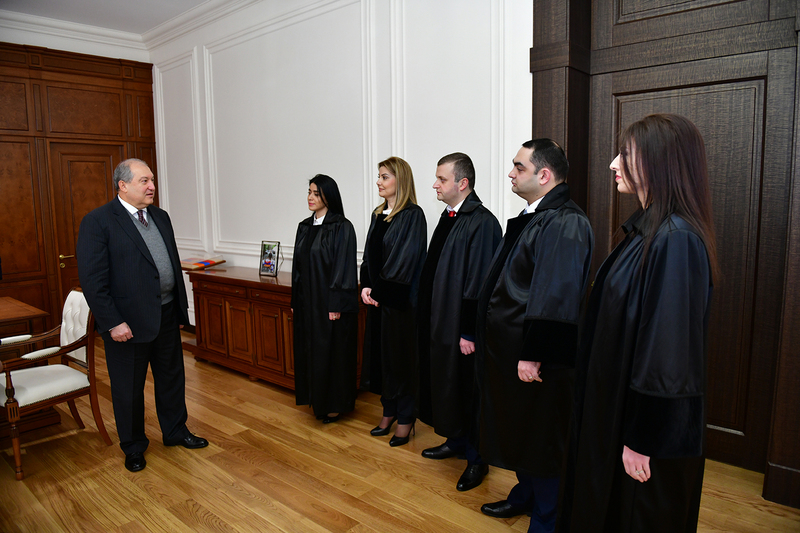 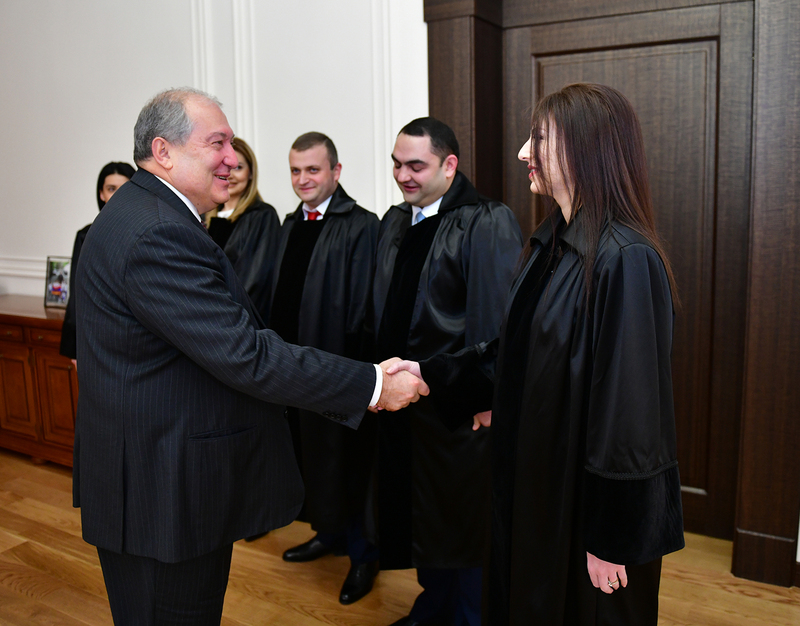 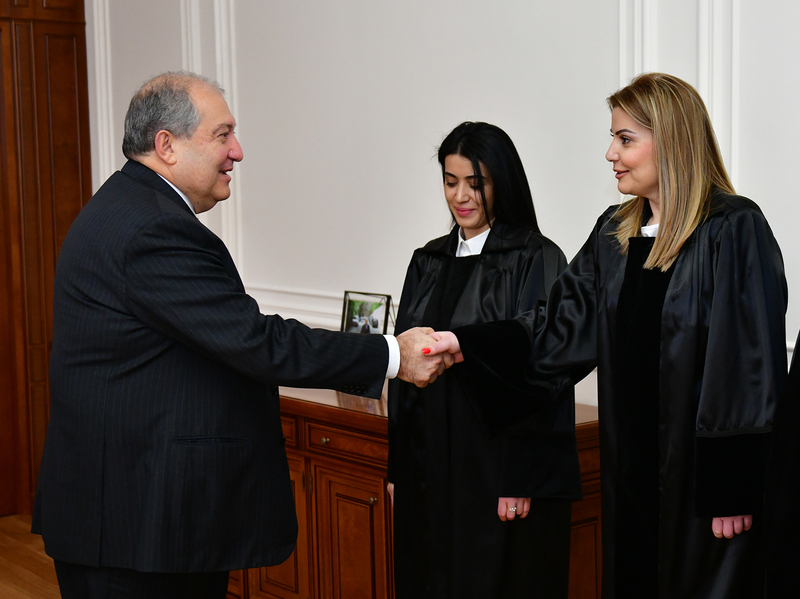 President Armen Sarkissian congratulated the newly appointed judge and wished success in their responsible work.